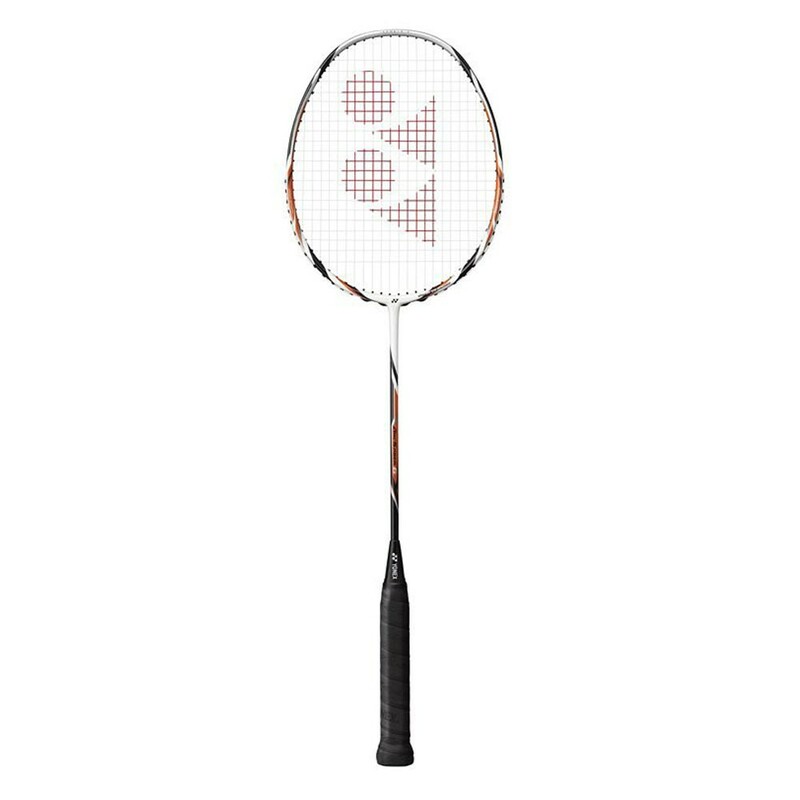 Lightweight racquet with a high swing speed. 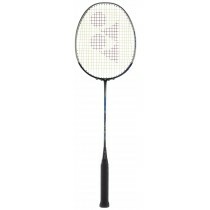 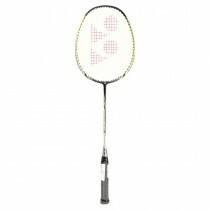 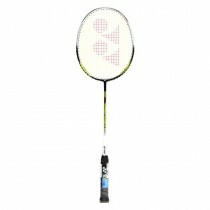 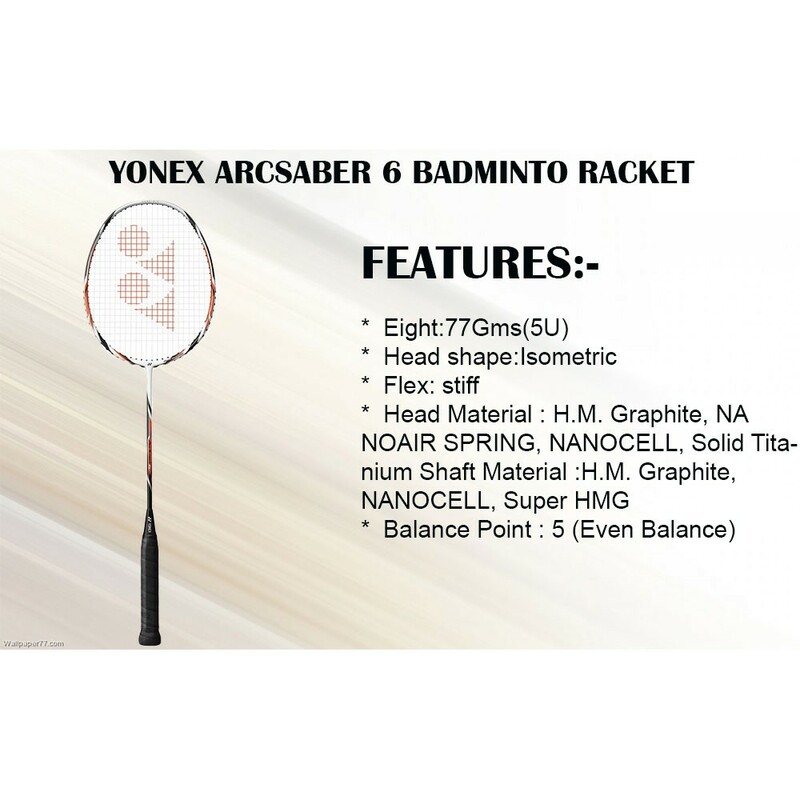 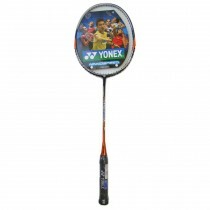 Yonex Arcsaber 6 Badminton Racket is developed with CARBON NANOTUBE material (Racket Frame), with advance racket material, player will get maximum bending strength and stiffness its a lightweight racquet with a high swing speed, solid feel and high repulsion required by more advance players.The Yonex ARCSABER 6 (Arc-6) have been designed to create a new playing style, one where you can turn defence into attack.The new ultra-light weight standard ( 5U & F ), created by YONEX cutting edge technologies, enables you to swing faster and respond to every shot in an instant. 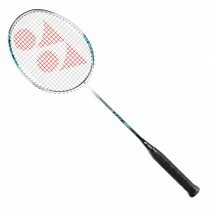 Use the ArcSaber 6's quick handling to step in towards the net and be more attacking in your style of play. 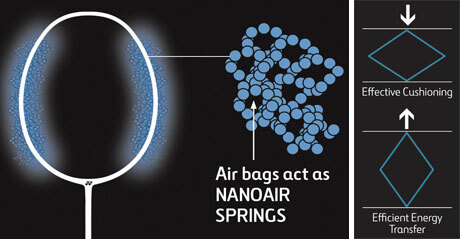 Nanoair Spring in the resin binds the carbon fibres so that nanoscale air bubbles in the material help the racquet to flex and bend as in a spring. 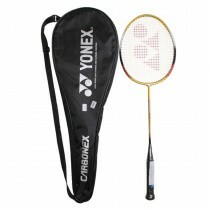 the result is a better transfer of energy from string-bed to shuttle for a more powerful hit.